Another year has come and gone. It is time to reflect on our many accomplishments and defeats at the gaming table! Gamer Geek: games that exemplify all things ” gamer geek” when it comes to board, card, and dice games. These games provide depth and challenge to the casual and most elitist of Gamers. Parent Geek: games that promote family values, bonding, togetherness, and fun that can be played by a wide age and skill group. Child Geek: games that promote the Geek Skills and are a lot of fun to play. Not necessarily the games that adults would seek out, but certainly the favorites of our little geeks. Why have each staff member provide their own list? Simply put, each of us have our own favorites, our little geeks are at different Geek Skill levels, and to be perfectly blunt, I couldn’t convince the other father geeks that my list was the “one list to rule them all”. Note that the list of games is not limited to titles released in 2011. There are many, many, MANY great games that are much older than 2011. To see how are tastes have changed and what new challenges we slapped down in front of our little geeks in 2011 versus 2010, check out our Top 5 Games Played in 2010 list. ON WITH THE TOP 5’s! Regular Contributor, Geek, Gamer, Father of Two, and Husband of One (so far), Nate has been a gamer since before he knew the word existed. 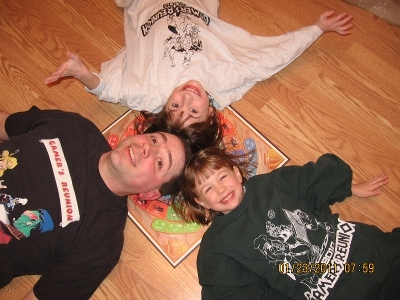 From his very earliest memories of begging his older sisters to play Monopoly with him, and then crying when they actually made him finish the game, to his moment of Euro game enlightenment with his first play of Settlers of Catan (thanks to Father Geek’s own Brian), gaming has always been his first, best, hobby. Now, with children of his own, he finds himself repeating the cycle of begging them to play with him, and then crying when they won’t let him quit. He hopes that his daughters grow up to learn the joys of rolling dice, gathering resources, building civilizations, leveling their characters, seeing their enemies flee before them and hearing the lamentations of their women. Nate goes by the handle kungfugeek on Board Game Geek. The Ares Project: Awesome asymmetrical factions, accurate recreation of a RTS game feel. Le Havre: Probably my current favorite of the dry Euro flavor. Quick, simple turns with difficult decisions. Mage Wars: Beats Summoner Wars for card-tactical wizard battle, in my opinion. Having to pre-select your spells for the turn both speeds up the game and makes decisions wonderfully painful. Tammany Hall: An out-of-print gem that I stumbled into this year. A great area control game with a more interesting setting than most. Roll Through the Ages: It’s important to teach children the value of harvesting grain and digging stone at an early age. Word on the Street: A simple spelling game that can be used to teach kids. Mini FITS: A wonderful spatial-awareness and puzzle solving game that plays in 10 minutes. What’s not to love? Assistant Editor, Contributor, Euro Board Game Aficionado, and Father of Two, Brian played many family board games while growing up, but launched a foray into real geek gaming in 4th grade with his exposure to Risk, and then many sessions of Axis & Allies. Gaming in all forms has always been woven into his life with different phases including: video games starting with the Atari 2600, role playing Marvel Super Heroes, launching massive Battletech scenarios, blowing his small amount of bank on Magic: The Gathering, and then finally strategy board games. Settlers of Catan (1997) was his first introduction to the Euro-style game, and he has since been forever hooked. He embarked on a new stage of life in late 2006 with the birth of his first of two boys, and now cherishes the opportunity to learn the game of parenting. His desire is to raise two respectable men who still want to play a game with daddy even when they are father geeks themselves. Brian goes by the handle Vree on Board Game Geek. Ares Project: Wonderful 2p combination of Axis & Allies dicing with abstract heavy tactics. It truly feels like an RTS. War of the Ring: Still one of the better consistent game experiences that one can have. Endeavor: A heavy analytical Euro that is easy to teach and deep to explore. Hansa Teutonica: Ditto. I still want to investigate different game play strategies. Puzzle Strike: The best of the “deck” builders that I have tried. Long Shot: We play a pared down version of this game that does not use the cards. It is not much more than a roll and move, but it is visual and the little geeks keep coming back. Disney Cars Tip-It: A much better version of Don’t Spill the Beans, mostly because of the fancier contraption that is used for balance. It’s a good game to work on fine motor dexterity skills. 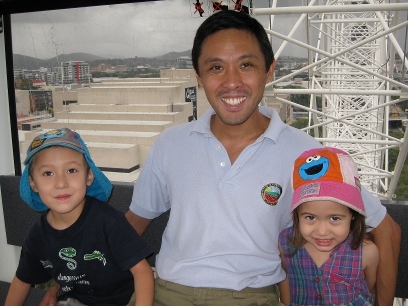 Assistant Editor, Contributor, Board Game Fanatic, and Father of Two, Meng is an Australian who became hooked on board games at high school, with such classics as Talisman and Diplomacy. Years later, he rekindled his interest while living in the United States, both immersing himself in the local gaming scene and also taking advantage of mail-order to expand his collection to some 300 items. 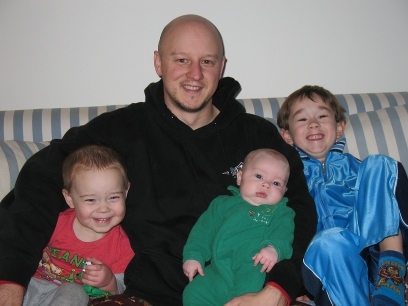 After returning to Australia in 2008, and with little time left after work, study and travel, the majority of his gaming nowadays is with his two young children. Hoping one day in the distant future to teach them to play a rollicking game of Die Macher, in the meantime he provides more age-appropriate fare and tries to discuss some life lessons along the way. Meng goes by the handle meng on Board Game Geek. Agricola: Worker placement on a farm, my most-played game this year. Although this is not a new title, I had to wait a few years before my little geeks were old enough to play too! A Game of Thrones (the card game): Newly reprinted [collectible] living card game using one of my favorite fantasy settings. It contains some themes not suitable for young children (e.g., the brothel). 7 Wonders: Civilization-building card drafting game and Kennerspiel des Jahres winner, ideal for 5-7 players and playable in 40 minutes. Although my 6-year-old son found this a little daunting at first, he loves to join in when my gaming group breaks this out. A Few Acres of Snow: A 2-player deck-building game designed by Martin Wallace, about the British and French fighting over North America. Quick and tense. Hansa Teutonica: Worker placement with network building and a tech tree. Oh, it’s about trading in Renaissance Europe, apparently. The game feels tight, and I can’t wait to build upon my humble tally of 2 plays. Carcassonne: Classic tile-laying game, available on iOS and Android, too! Complexity and depth of strategy are just right for young children and non-gamer adults alike. And if the vanilla game has become ho-hum for you, there are more expansions than you can poke a stick at, literally! Mr. Jack & Mr. Jack Pocket: Two-player deduction games that surpass Guess Who? in almost every respect. The pocket edition is a substantially different game, not just a more travel-friendly version. Alhambra (the card game): Predecessor to Alhambra, this simpler incarnation of set collection is more accessible to early school-aged children. No Thanks! : Classic filler card game, easy to explain and the game is over before you know it. Great for travel or while waiting at the restaurant. 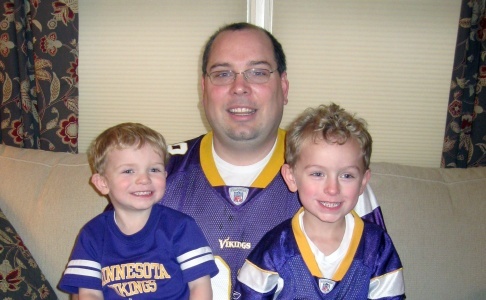 Regular Contributor, Board Game Fanatic, and Father of Two, Karl played many of the games seen in big-box stores growing up, but much of that changed when he was introduced to Dungeons & Dragons in 1982. From there, he was also exposed to “dudes on a map” games such as Axis & Allies, Fortress America and Supremacy. After his grade school gaming friends moved away and Nintendo and girls became more interesting, non-electronic games took a back-seat. Sixteen years later, a co-worker suggested getting together to play a game called Illuminati. This sparked a level of interest that led Karl to want to know more. His search led him to a site called Boardgamegeek.com (GeekDo.com). Eight years and 800+ games later, it is safe to say Karl is pretty engrossed in the hobby as a player and a collector of table-top games ranging from wargames, miniatures, card games, Eurogames and of course, Ameritrash. While Karl began by introducing simple abstract games to his children (Checkers, Blokus, Go, etc. 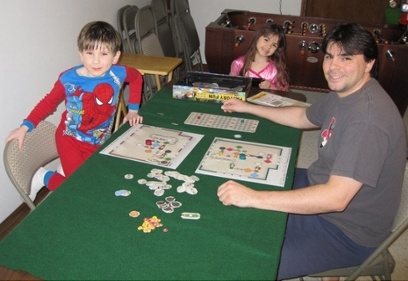 ), he has also been introducing his two children to character genres typically cherished by geeks, thereby providing a good base for introducing table-top games to them which carry similar themes to make the play more interesting and story-like. He hopes that by playing games with the children while they are young, they will continue the hobby later in life and still want to play with Daddy even as teenagers and older. Karl goes by the handle kfritz on Board Game Geek. Dreadfleet: If you have the skills and patience to paint, this game looks beautiful on the table, and the rule set is fairly simple. Star Trek: Fleet Captains: Excellent miniatures, great theme with lots of re-playability. Lords of Vegas: Dice, dice and more dice that are used as pieces as well as for determining outcomes. Great area control game with lots of options at a players disposal. The Las Vegas theme adds to the experience. Grind: A futuristic sport game with good looking miniatures, lots of options, dice rolling and opportunities for trash talking make this a solid two-player experience. Telestrations: This game is great for winding down an evening of gaming. With the right crowd, it puts me in tears from laughing so hard! MotorChamp: Easy to teach and play with a 5 to 7-year-old. Good game to teach the element of risk. If your kid is tired of Monza and love racing and the beautiful production, this is the next racing game to get! PitchCar: Similar to Crokinole in that players are flicking discs. That is where the similarity ends as players take turns flicking discs around the track to get to the finish line while trying to keep their disc on the track. Another game my son can readily beat me in. Crokinole: Easy to play dexterity game and my son can usually beat me even if I am trying my best. Dungeons & Dragons: Wrath of Ashardalon: Easy game to scale back for the little geeks to play with tiles, character and abilities to change the game. Plus, it has a big dragon included in the game! Pac-Man: Great nostalgia for parents coming from 80’s culture. Little geeks will also enjoy moving the pieces to collect marbles, as well as moving the ghosts to eat their parents’ Pac-Man piece. PitchCar: Great dexterity game that also helps kids deal with frustration. The racing theme is a hit in our house. The Kids of Carcassonne: Teaches a decent level of strategy along with matching of shapes (complete roads). Fun for both parents and adults. Editor in Chief, Board Game Fanatic, and Father of Three, Cyrus has always enjoyed board, card, miniature, role playing, and video games, but didn’t get back into the hobby seriously until early 2000. Once he did, however, he was hooked. He now plays board games with anyone and everyone he can, but enjoys playing with his children and wife the most. Video games continue to be of real interest, but not as much as dice and little miniatures. As he carefully navigates the ins and outs of parenting, he does his very best to bestow what wisdom he has and help nurture his children’s young minds. It is his hope and ambition to raise three strong, honorable men who will one day go on to do great things and buy their Mom and Dad a lobster dinner. Cyrus goes by the handle fathergeek on Board Game Geek. You can also check him out on About.Me or cyruskirby.com. Merchants and Marauders: Still one of the best pirate/privateer games I have ever played. I was a HUGE fan of Sid Meier’s Pirates and this game is very much like the board game equivalent. Dominion: The first card game of choice for me and still one of my all time favorites after all these years. Easy to teach but hard to master, I continue to be challenged and entertained. Havana: An excellent game that forces the player to really think ahead but not so much as to make the game an exercise in obtaining a migraine. Last Night on Earth: I love zombies. Perhaps a bit too much. Regardless, this is my favorite zombie game, complete with customizable scenarios and endless replay. Pandemic: The cooperative game craze has since come and gone. This game still stands miles above the rest, in my opinion, for its easy game play but exceedingly unforgiving virus spreading game mechanic. Nothing worse than seeing North America explode in a viral outbreak. Condottiere: A somewhat abstract area control and warfare game that is easy and fast to play. A huge step up from the classic card game, War, and an excellent gateway game. Alhambra: admittedly, I am sick to death of this game as it is all my wife wants to play. But you cannot deny the game has excellent game mechanics and is challenging. If only my wife would try other games from time to time. Still, you won’t hear me complain too loudly because playing any game with the family is always better than playing none at all! LEGO Heroica: A new comer to my household but an instant favorite, this LEGO based game takes the players to a fantasy world full of monsters and treasure! Very reminiscent of HeroQuest and highly customizable, this is going to be played and built by my little geeks for many years to come. That’s our collective list for 2011. WOW! That’s a lot of games! 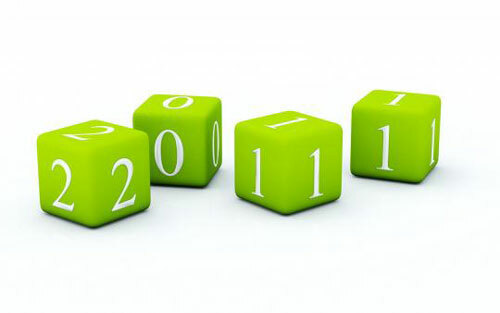 I wonder what wonderful new game experiences 2012 will bring us? That’s a number of great game choices on all the lists. Keep up the great Father Geek goodness! We’ll keep writing about games as long as there are games to be played! Pingback: Moosetache Games | Hike makes it on Father Geeks Top 5 Games Played in 2011! Board games can bring fun.